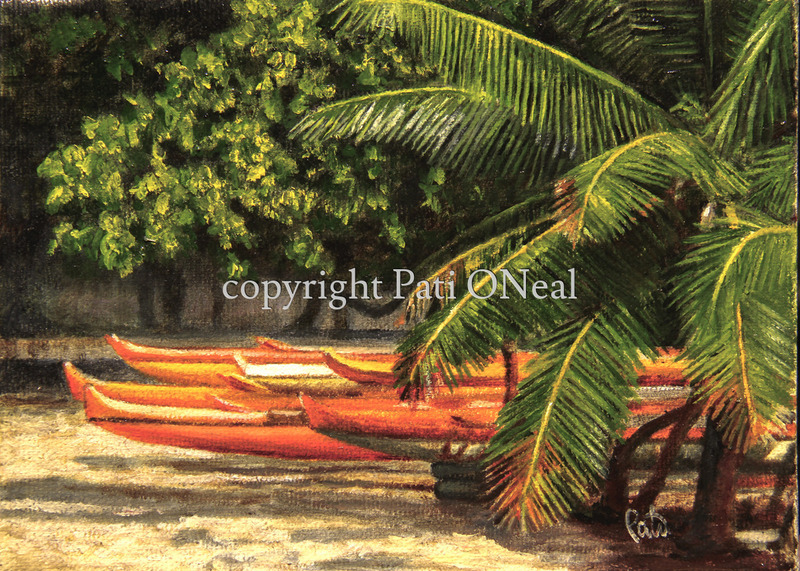 Canoes waiting on the sand at Hale'iwa on the North Shore of O'ahu. Original oil on canvas is sold. Contact the artist for a similar commission.